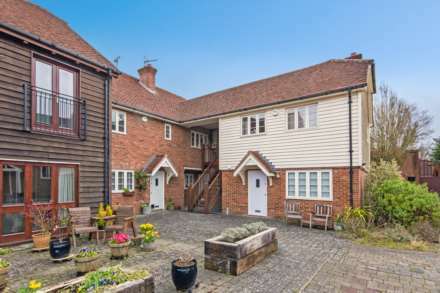 Touchingly close to the town`s restaurants, shops and cafes and within a short walk of the mainline station, this home is perfect for young professionals with commuting needs. 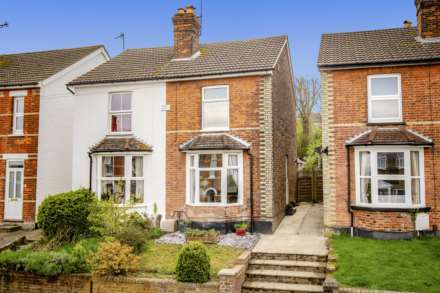 Set on the ground floor of a neat semi-detached house, you will be immediately struck by its smart red brick exterior. You enter at the side of the house through its private front door that opens into a welcoming entrance hallway. First on your right is the good-sized bedroom which is bathed in light from its large window overlooking the street. Next door the living room has plenty of space for relaxing and entertaining and is conveniently placed next to the kitchen. The kitchen, which opens off the living room, is a practical yet effortlessly stylish kitchen with cream units and contrasting work surfaces. At the end of the hallway, a fresh contemporary bathroom with shower over the bath completes the apartment. Bedroom: 12`6 x 9`9` front aspect double glazed window and radiator. Kitchen: 10`10 x 7` side aspect double glazed window, integrated oven with 4 ring gas hob, stainless steel extractor fan, space for a fridge/freezer, stainless steel sink with mixer tap and drainer with space and plumbing under for a washing machine, wall mounted boiler part tiled walls, wooden effect laminate flooring and radiator. The kitchen has plenty of worktop space and a selection of eye and base level units. Bathroom: 8`10 x 5`5` side aspect opaque double glazed window, panel enclosed bath with shower over and glass shower screen, pedestal wash basin, low level WC, heated towel rail, tiled walls and laminate flooring.